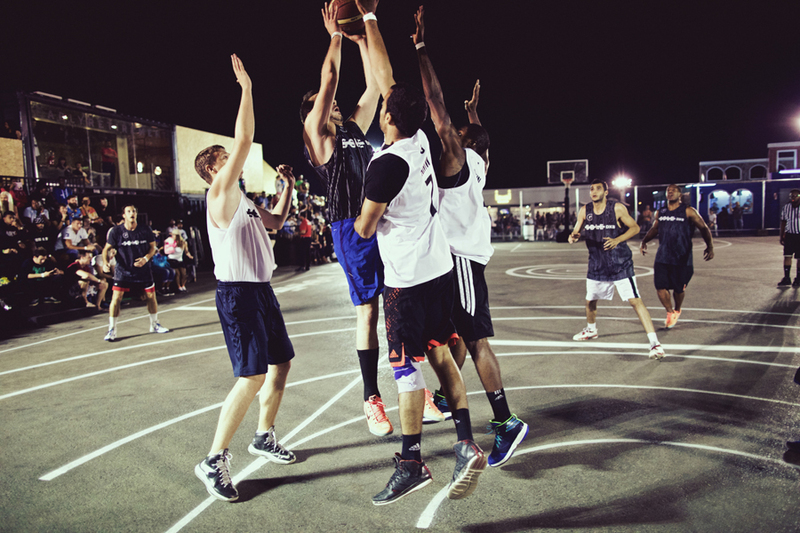 Sole set out to celebrate the streetball platform and re establish its roots in Dubai’s urban culture. 6 teams were selected through a partnership with local league Ball Above All , representing the best from the playgrounds around Dubai - AUD representing the university league and a mix of teams and leading players from other top leagues in the region. 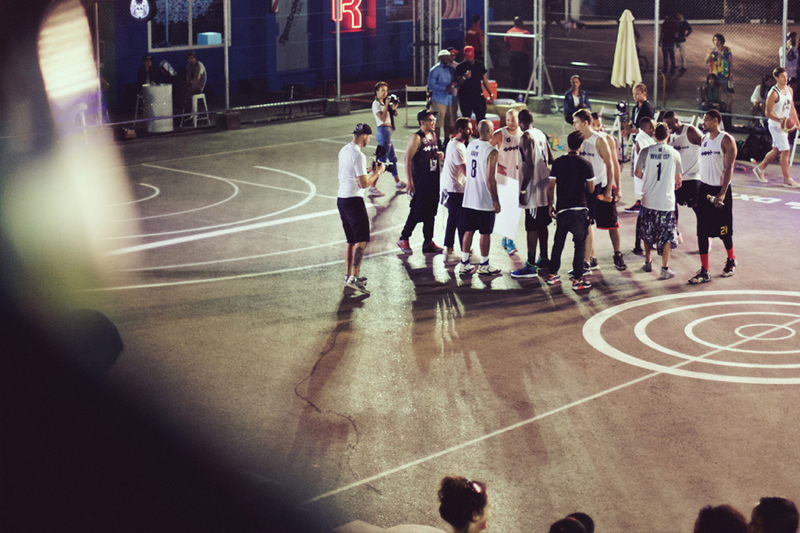 Gatorade stepped up to the line and helped Sole create a special experience for attendees and players alike. 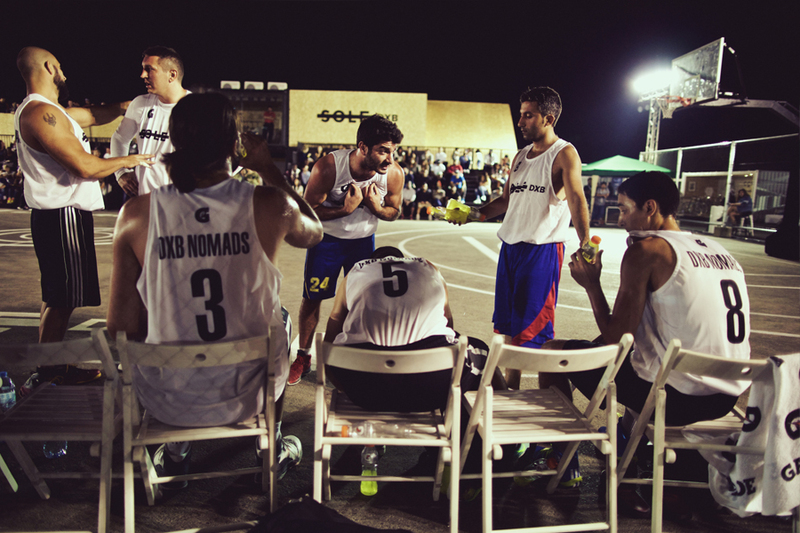 6 teams in a winner take all battle for AED 10,000 and the bragging rights of being labeled streetball champions. With custom court graphics, a booming sound system and Dj overlooking the court setting the vibe with old school hip hop, the stage was set and the players did not disappoint once they hit the tarmac. This game set the tone and soon the court was a buzz throughout the 2 day festival as attendees took to the players going to battle in custom black an white uniforms designed by Wolf & Sparrow. The festive mode was on and game 3 anticipated to be one of the main match ups of the day AMW vs AUD. The game was played at a very high level defensively, keeping the scoring low with AMW taking the win thanks to Courtney Fields 25pts, snatching the guaranteed semi-finals spot away from AUD. With the stands filled and the event crowd building up the Gatorade court still stole the show with day 1s most entertaining game between AMW and Dubai Nomads, The crowd oohs and ahs at alley oop dunks and an impressive 3 point shooting game. Ending in a dramatic telling play of the entire game. The Dubai nomads holding a 2 pt lead with 7 seconds remaining despite Courtney field’s impressive 21points. The final play set AMW’S Belal Abaid up for a 3 pointer, the miss was rebounded by Courtney Fields and passed back to Abaid who converted the 2nd attempt to give AMW a 1 pt lead. With 2 seconds left, The Nomads try to in bound the ball quickly but only to be intercepted by Lee Boyd at the 3point line, who hit the dagger to seal the game with a 4 pt win for AMW. A fitting end to day 1 with AMW set as the favorites and the other teams eager to clinch their spot in the finals. The second day players came in fresh and ready to go with Gatorade bottles in hand to battle the days heat.Game one set off and The wrecking crew put up the highest scoring game of the tournament with 70 pts to defeat Men@work 39 pts. Semi 1 in a dramatic turn of events was forfeited by Team Persia due to injury, which gave AMW a lucky break to advance to the grand final well rested to face the winner between Wrecking Crew and AUD. 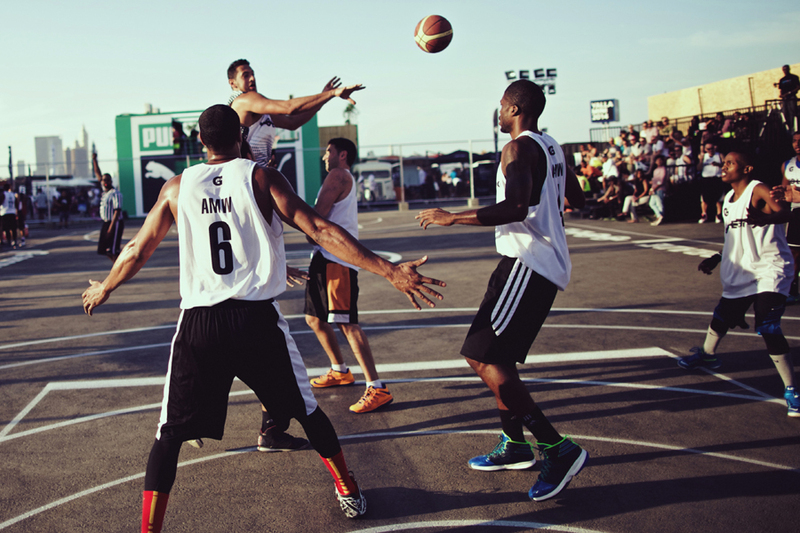 Semi 2, the crowds showed up with street style around the courts in full force while both teams exchanged the lead multiple times throughout the game. 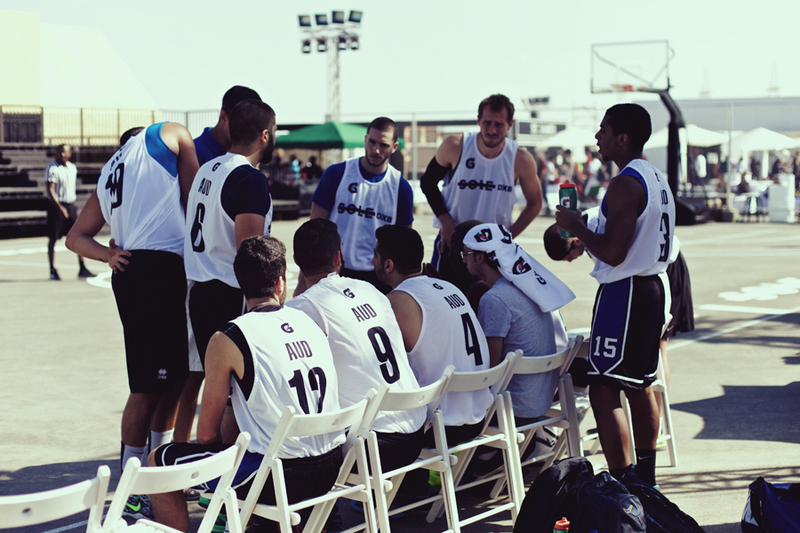 Another high scoring game, AUD won the 1st quarter by 8 pts thanks to Amir Sergieh’s 12 pts . Wrecking crew reduced the lead to 7pts by the half and won the 2nd half. Wrecking crew 82 defeating AUD 79 to secure their spot in the finals and a chance to win Gatorades AED 10,000 prize against the tournament favorites AMW. THE FINAL was set to be the culmination of a fun filled weekend. The courts surrounded by onlookers from the Puma and Sole terrace, as well as people lining up around the chain-link fence as the stands reached capacity. AMW surprised team Wrecking Crew and won the 1st quarter by 11pts due to a combined effort of Jermaine Dailey and Courtney Fields. Wrecking crew fought hard in the 2nd and 3rd but AMW managed to squeeze the lead in both quarter and build on that lead in the 4th out-scoring the opposition 30 to 15 and securing the Championship. The END of a great 2 days with the final celebration and party-taking place right on court itself. It was with great pride that we closed the event with a great partnership with Gatorade and cant wait to bring the game back to the culture one more time.